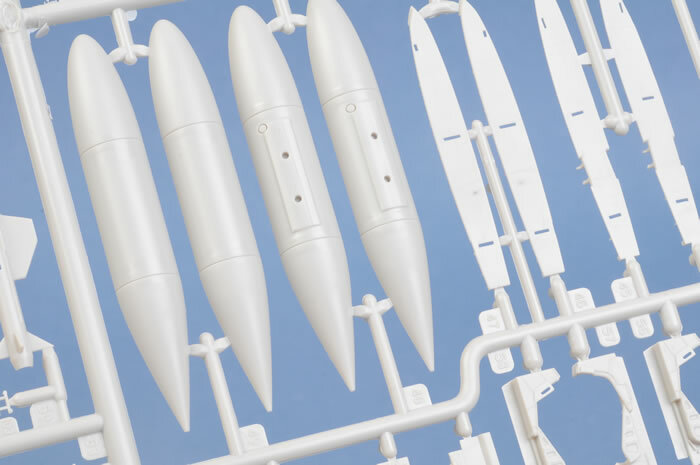 Advantages: Extremely accurate outline; large number of useful options; straightforward construction; restrained surface detail; thin, clear poseable canopies; very clear instructions; good level of interior detail; wings may be built folded or deployed; ; comprehensive decals. 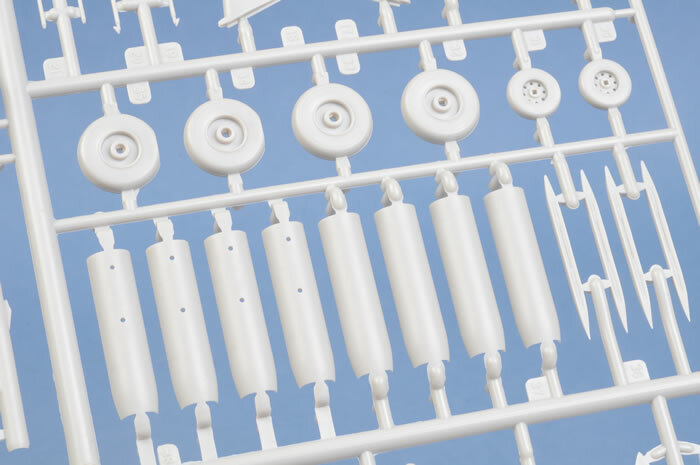 Scope for extra detail in wheel wells; frames moulded separately from canopy parts. Conclusion: A really impressive kit. 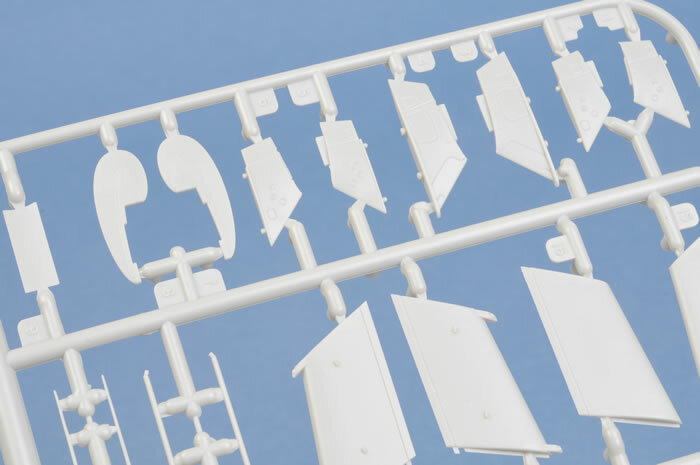 More than a year ago, Airfix thrilled Fleet Air Arm fans everywhere with the announcement of plans to release a Sea Vixen in 1/48 scale. It seemed hard to believe that it would ever come to pass. It has taken over 50 years from the time it entered service to get a mainstream injected 1/48 Sea Vixen. Initially, it was slated to be a limited edition release. I was a little apprehensive, as some of the early kits from the reborn Airfix were a little heavy handed and basic. I worried that this kit would be overly simplified, with wide, deep panel lines. 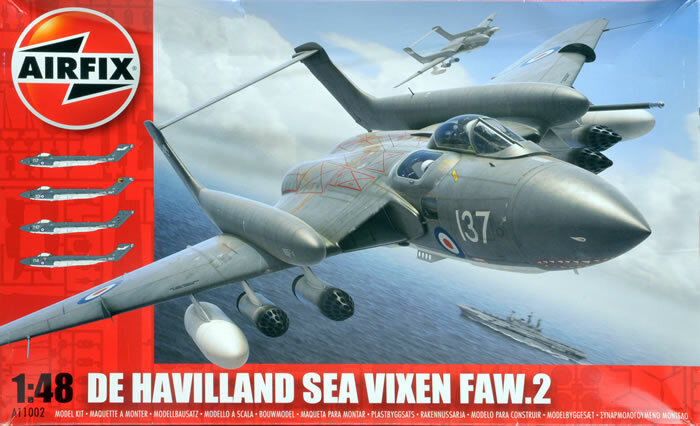 I was delighted when Airfix contacted me before the IPMS/UK Nationals in 2009, asking me if they could get a copy of my soon to be released walkaround book on the Sea Vixen. I met up with Airfix at the show, and handed over a copy. I've been told that they referred to it constantly, so I feel like I played a small part in making the kit accurate. I attended the IPMS/UK Nationals again this past November, and was very excited to see that they not only had test shots and a pair of kits built up, but that they even had a small number of production kits that they were raffling off to some very lucky attendees. Less than 2 weeks later, they were kind enough to send me a copy as thanks. 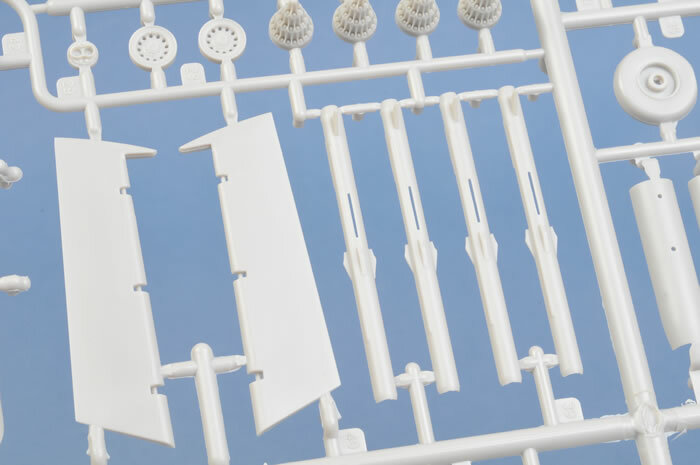 I have spent a few hours enthusiastically pawing over the parts and I am here to share my thoughts about this new kit. The kit is packed in a very large, sturdy box measuring a little over 19.5" by 13.5". The cover artwork is a truly stunning painting of two 899 Squadron Sea Vixens in flight over their carrier. 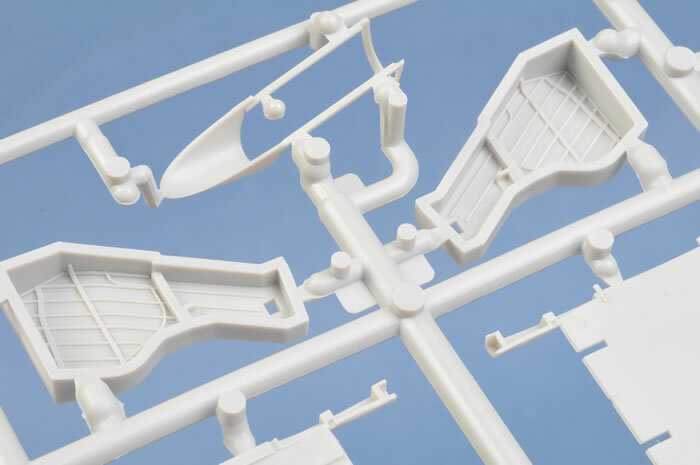 Upon opening the box, you are greeted by 3 large, beefy sprues molded in a light gray plastic, and 1 small clear sprue containing the canopies, windows and seeker heads. 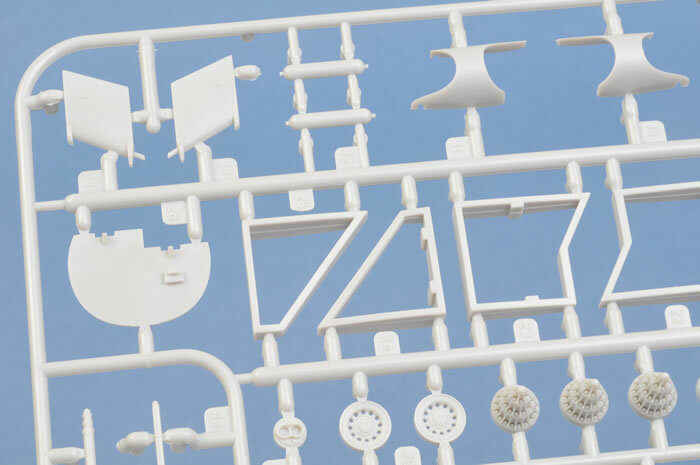 Consisting of 227 parts, this is not a basic kit by any stretch of the imagination. 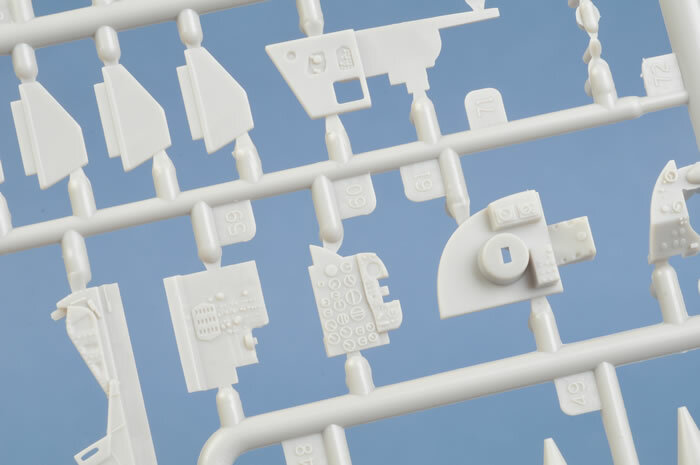 The sprues themselves are quite thick, yet the attachment points for the parts are not overly large. 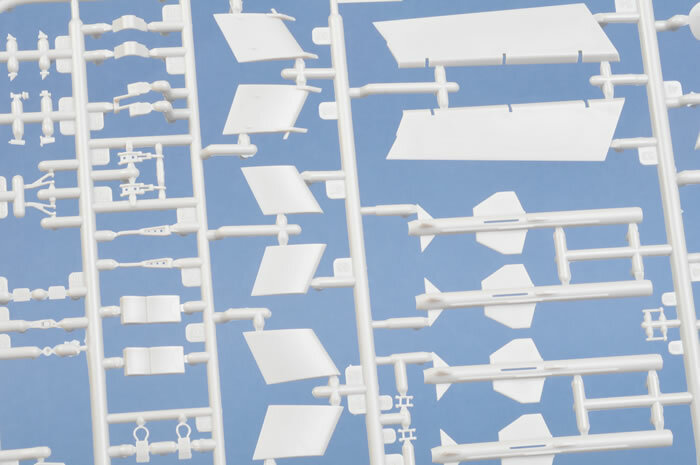 There is quite a lot of interior detail molded in high relief on the inside of the airframe parts. This will often lead to shrinkage during cooling that leaves low spots on the exterior surfaces. Considering this, the surface is surprisingly mostly blemish free. The instructions are 24 pages long and done in a very clear assembly drawing style. Flipping through them, you start to get the idea that this is by no means going to be a weekend build! One quite odd feature of the instructions is that there seems to be absolutely no painting information for the details such as cockpits, seats, gearbays, undercarriage, intakes, etc. There is a very nice color supplement that shows four-views with color callouts for the main paint schemes, but it is oddly missing callouts for even the Humbrol range. The main colors are numbered, but you'd think they would list them as Humbrol paints to promote their own line. Inexperienced modelers will be completely lost on painting this beast. Well informed modelers will no doubt consult a nice reference book.... say, like that one from BarracudaGraphs (self serving plug alert!) to get the myriad colors seen on the details of this complex aircraft right. The drawings are well done and broken down into many steps, and they are specific on angles of things like wingfolds, flaps, airbrakes, and observers hatch mountings. A nice touch. 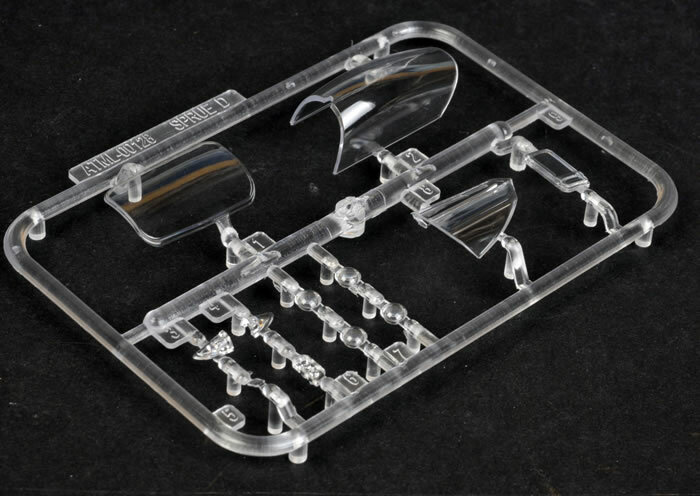 The cockpit is quite detailed and accurately laid out for an injection kit, but those seeking more detail will have a lot of scope for adding more, and resin aftermarket cockpits and other sets will certainly be coming in the not too distant future (ask me how I know!). The seats each consist of six parts and are somewhat basic but accurate shapes. Again, lots more detail can be added, and belts are a must at the very least. Complete intakes down to the compressor faces are included, as well as deep exhausts with turbine faces at the back end. 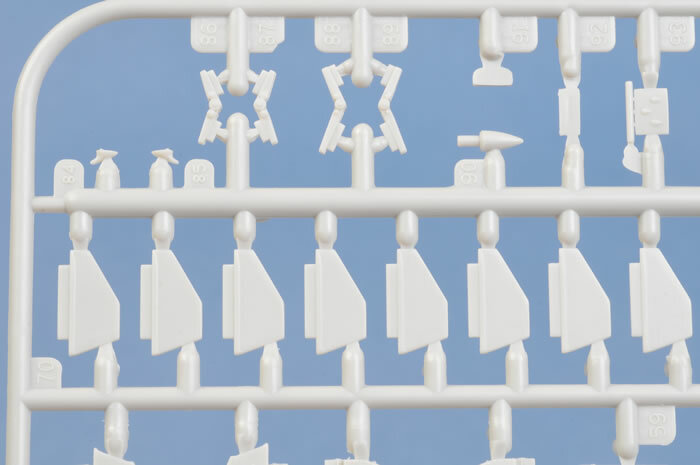 The kit is cleverly engineered with wings that can be built either spread or folded. 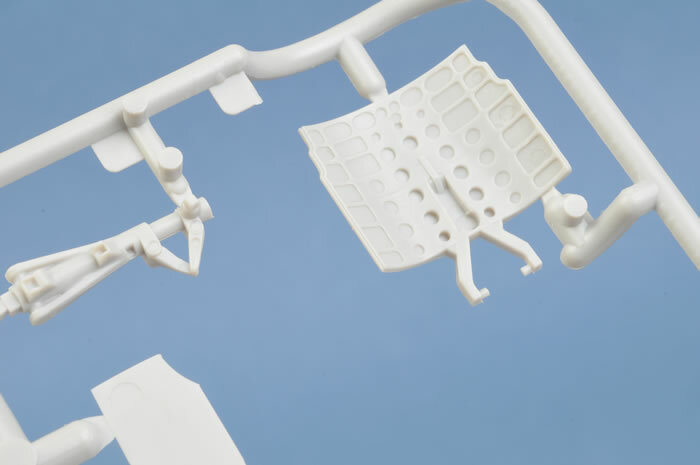 The folded option is nicely detailed, with a number of additional parts such as cable guards, pistons and hinges, that will make this area look suitably busy. Jury struts are provided, serving to make the folded wings much more stable, the same function they perform in real life! The spread option is very clever. 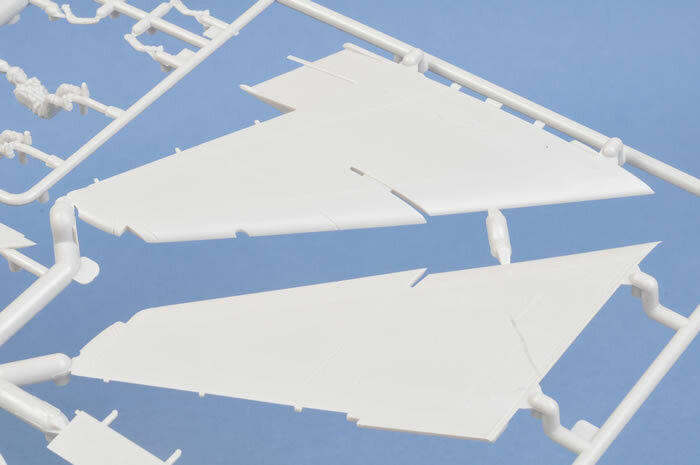 There are two plastic boxes that glue into recesses in the outer and inner wings that should make the spread wings as strong or stronger than a molded one piece wing. I can guarantee that no one's wings will be snapping off later on! 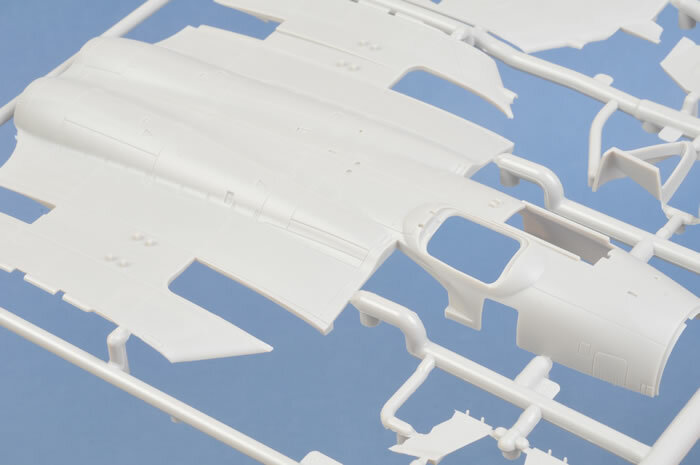 The Fowler flaps are complex on the Sea Vixen, and to Airfix's credit, they give you the option of building them in the fully extended position if you choose! The landing gear is well done, but the main gear and wells have a large scope for added detail. One note: the kit would have you build the kit with the main wheel doors open, but it is rare to see them open on the ground in period photos. Still, a detailer's delight if you decide to show them as such. 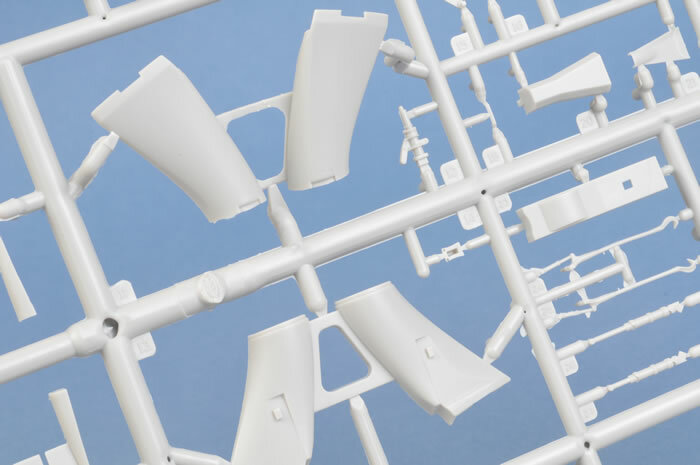 The ordnance looks to be accurate, although the Red Tops could stand some refining, and replacement of the fins with thin sheet styrene and some extra detailing would be a simple and worthwhile upgrade. The canopies are one of the few oddly designed parts in this superb kit. For some reason, they have molded the observers hatch with the frame and the glass molded separately, and they have repeated this on the pilot's sliding hood. Most modeler's I know hate this type of thing! Airfix! 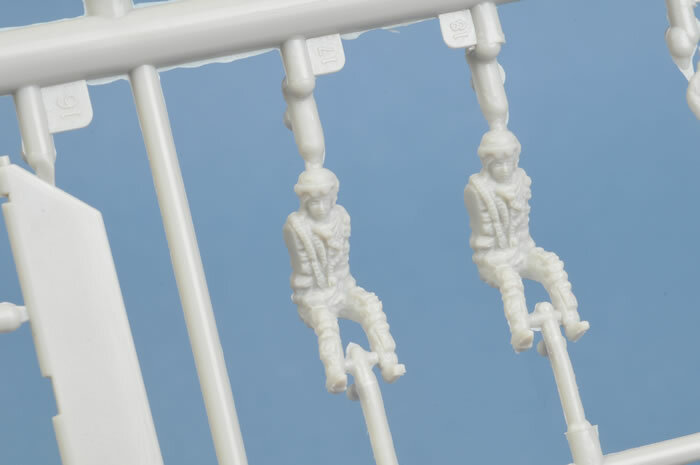 For the future... please, please... just mold them as one piece in clear plastic. We can handle the painting. The decals are nothing short of outstanding. Printed by Cartograf (the best in the business), the sheet is huge! Markings for four aircraft are included, all in Extra Dark Sea Grey over White, including XN650 of 892 Squadron, XP954 of 893 Squadron, XS577 of 899 Squadron, and the restored and airworthy Sea Vixen registered as G-CVIX, which is currently painted as XP924 of 899 Squadron. It was repainted into these markings after flying for a number of seasons in Red Bull Livery. Many saw this as blasphemy, but Red Bull has my sincere gratitude for keeping the sole remaining airworthy Sea Vixen flying for over three years. This must have cost a small fortune! The stencils are a story unto themselves. 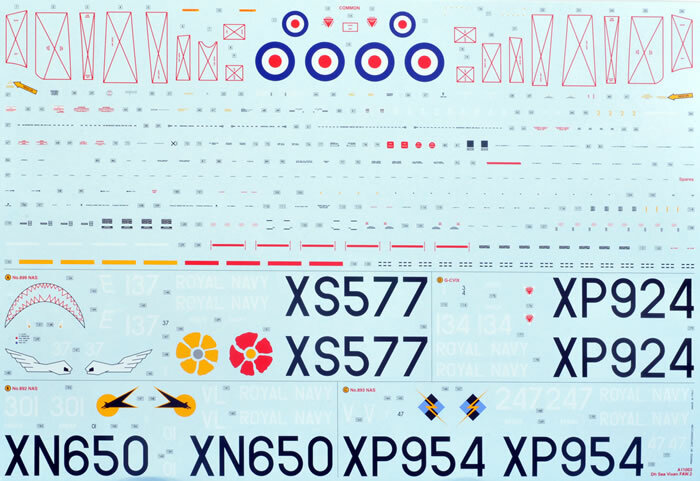 There are nearly 130 unique stencils on the Sea Vixen, and Airfix gives you every one. If that sounds like a lot of stencils, remember that there are multiples of many of these stencils, bringing the real number to probably well over 300! Be prepared for a couple of evenings of decalling. Color and register is perfect, and the smallest stencils are readable. The all important red no step boxes on the upper wing are beautifully printed and will show no white underprinting peeking out from the edges. My only wish is that they would not print a matt varnish over the decals. 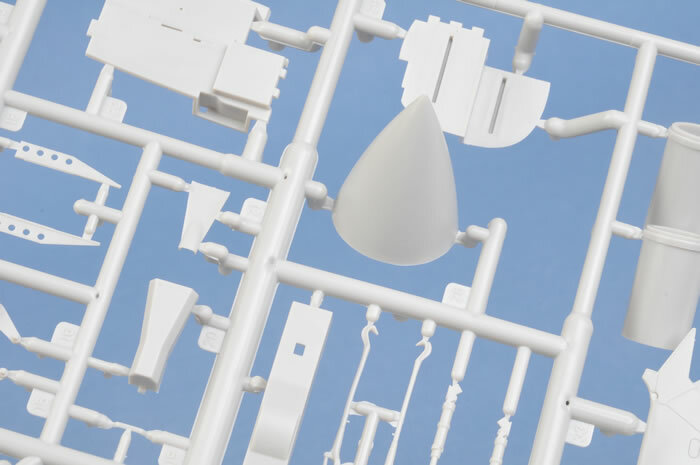 They are going onto an airplane that will have a semi-gloss to gloss finish, so this feature is hard to understand. I am sure the matt finish will disappear under a gloss final coat. I hope. 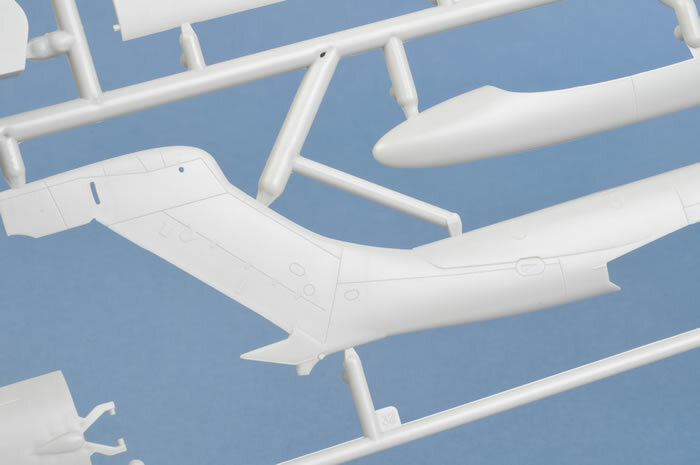 While a Sea Vixen FAW.1 is on many modeler's wish lists, it does not appear to have been a part of the plan for the future, as the tail booms with integrally molded overwing tanks are smack in the middle of a major sprue. I'm sure some after market companies will be racing to fill this void. Overall, this is a really impressive kit. It has certainly exceeded my expectations, and I look forward to building at least two, maybe three - one folded up and super detailed, one spread and possibly in landing configuration, and possibly another cleaned up and in flight, to celebrate the incredibly unique shape and odd beauty of the Sea Vixen. Thanks to Airfix/Hornby for taking the chance on such an interesting and important Royal Navy aircraft. 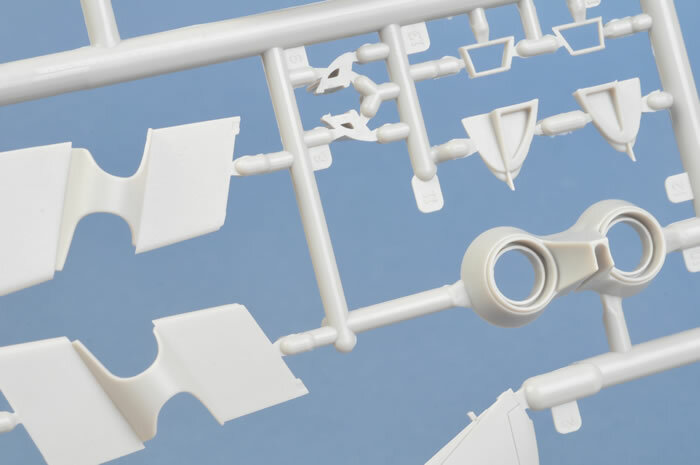 I am sure they will be pleasantly surprised at just how popular this kit will turn out to be, perhaps paving the way for other badly needed subjects like the Hawker Tempest family, the Halifax series, and Gloster Javelins, to name a few.